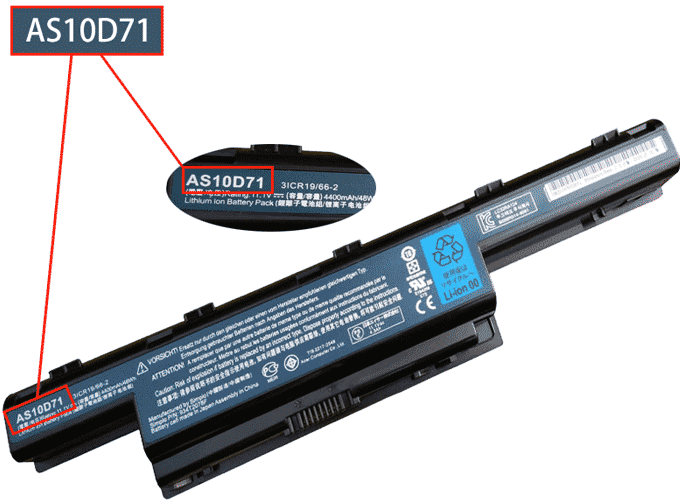 How to query the part number of the Acer/Gateway/eMachines battery? Acer, eMachines, and Gateway are all the same company. Essential to the purchase of your new laptop battery is the part number. A part number is a unique identifier that is assigned to a part to simplify referencing and to unambiguously define a part within a single manufacturer. Knowing about part number of the battery will more accessible to buy a correct battery, and it is comparatively accurate to search a battery by its part number than the model name of laptop. How to make order from LaptopBatterie.fr?